Welcome to Rancho Obispo, a small community of homes conveniently located near shops, restaurants, cafes, and parks. Also a convenient drive or bus-ride for Cal Poly students or staff. This property is located at the end of a quiet cul-de-sac with a large lot featuring two units. The main residence is a spacious two story single family home with a dining room, den, living room, kitchen, and four bedrooms & three bathrooms. The entire home was updated in March 2019 with new kitchen countertops, appliances, sink, carpet, and paint. The detached two-car garage features a separate Studio Apartment above with a balcony overlooking the neighborhood. 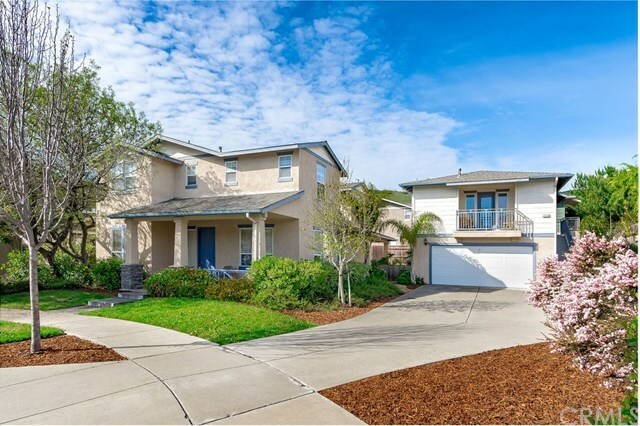 This property is among the best values in San Luis Obispo for someone looking for a large main residence with additional income potential on the side. Ideal for Investors, Cal Poly Parents, or Families.